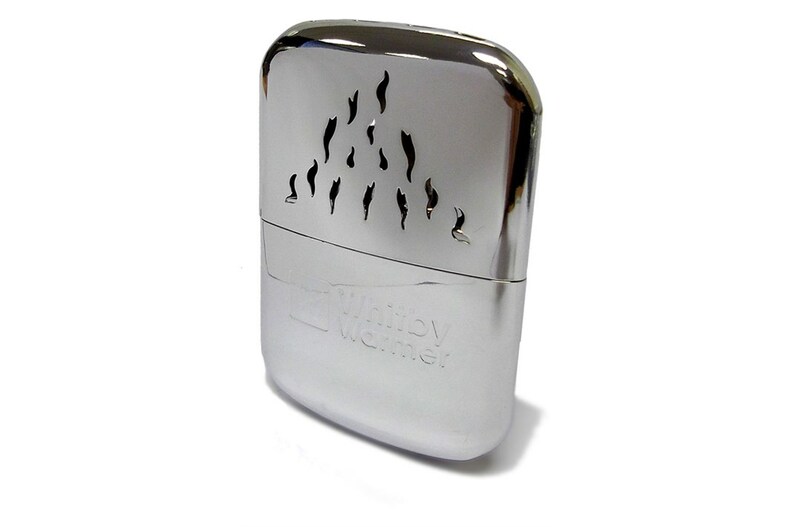 The Whitby Handwarmer is a safe, flameless way to keep your cold hands (or anything else) warm on a chilly day. Simply fill it with lighter fuel using the filing spout provided, light it, replace the cap, and keep it in its pouch in your pocket. It will stay warm for up to 12 hours, and can be re-used about 90 times before needing a refill. It's a great hand warmer, and also good to throw into your sleeping bag on a cold night's camping.